The IFA is a major event which will be held in Berlin this September and we expect the highlight of it to be the unveiling of the Samsung Galaxy Note 3 which is the third generation of the company’s large screened device. This has not yet been confirmed, however due to the recent reports that suggest that the mass production of the model will begin a month before this event. The mass production of the new Samsung Galaxy Note 3 is expected to begin in August according to new reports and this makes a September launch at the IFA event seem very likely. It has been said that parts suppliers have already been contacted by Samsung ahead of the production. Many of those said suppliers are not too pleased with the South Korean manufacturers after a reduction in order numbers for the Galaxy S4 model. Samsung reduced their parts order in July according to ETNews in Korea and and the company are also only sanctioning the production of 6.5 million handsets at any one time. 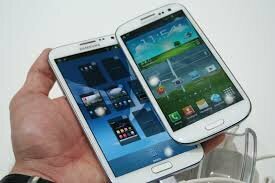 It is believed that a massive order for the Note 3 has been placed with the suppliers in order to keep them sweet. This drop in orders for the S4 should be counteracted by the production runs for the forthcoming new Galaxy S4 Mini, Active and Zoom devices. For some time we have expected the launch date of the Samsung Galaxy Note 3 to take place in late summer and the recent news that suggests a mass production beginning in August supports these reports.